There is now also a variation of "James" the award-winning doorstop James the doorman, for the bookshelf. James the bookend. The bookend "James" promises not only a humorous design, but also gives the bookshelf maximum stability. The stainless steel plate on James's foot guarantees that a number of books can be leant against James's outstretched arms and body made of natural rubber. 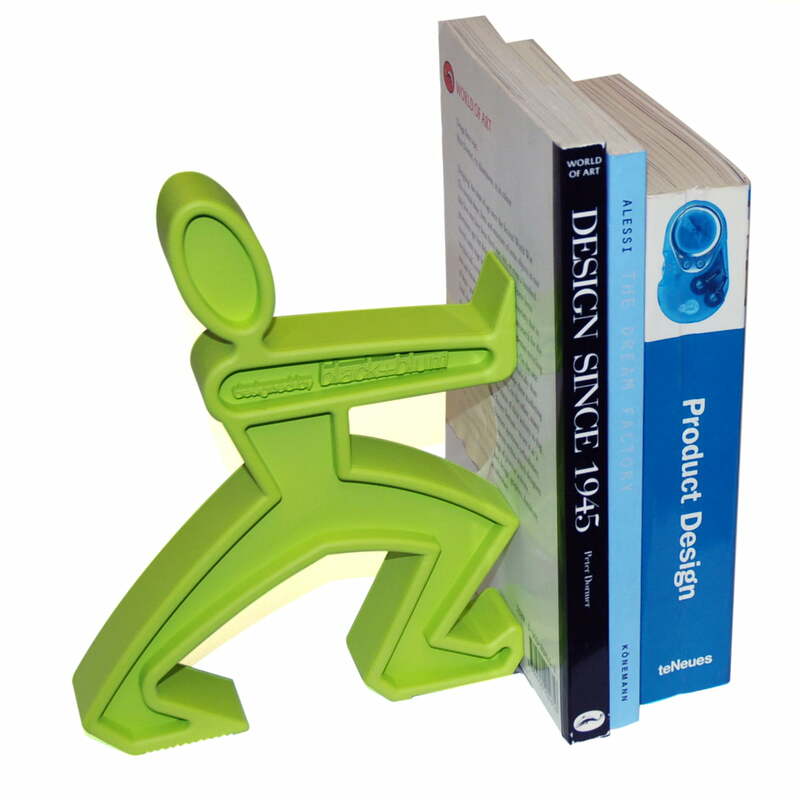 James the bookend is available in lime, blue and orange.